When my boys were little I used to call them my little chunky monkeys and threaten to eat them right up-who doesn’t love those little baby chubby cheeks and squishy little hands?? Now they are bigger and all that baby fat is gone and the only chunky monkeys I have left are of the dessert variety! 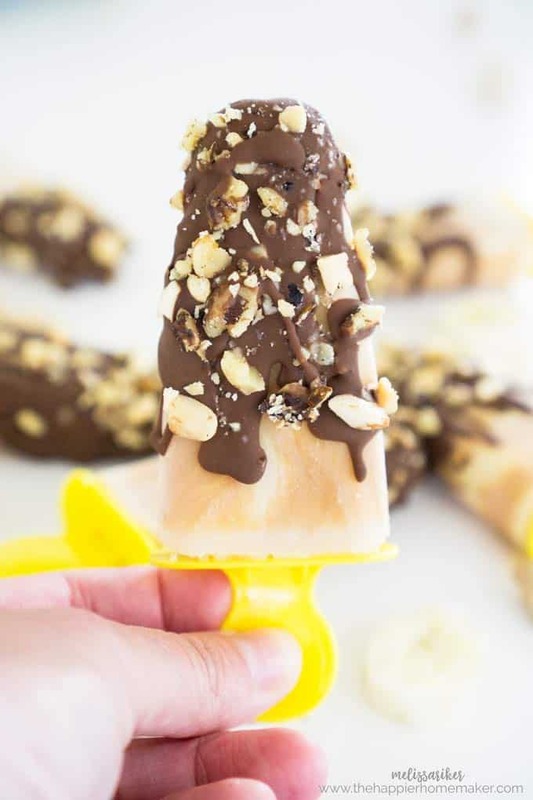 I made these slimmed down Chunky Monkey Popsicles recently to help myself and the kiddos beat the heat and they went over great! 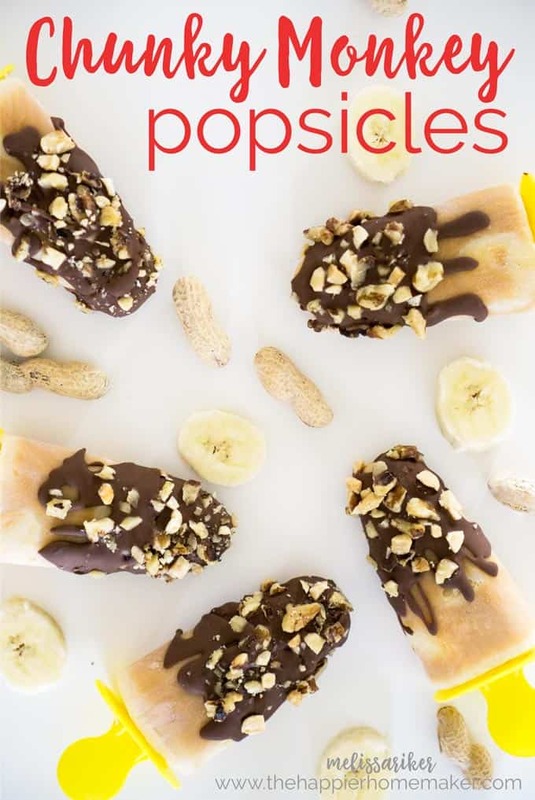 To create a calorie friendly popsicle I used PB2 powder instead of peanut butter to compliment the banana and chocolate. 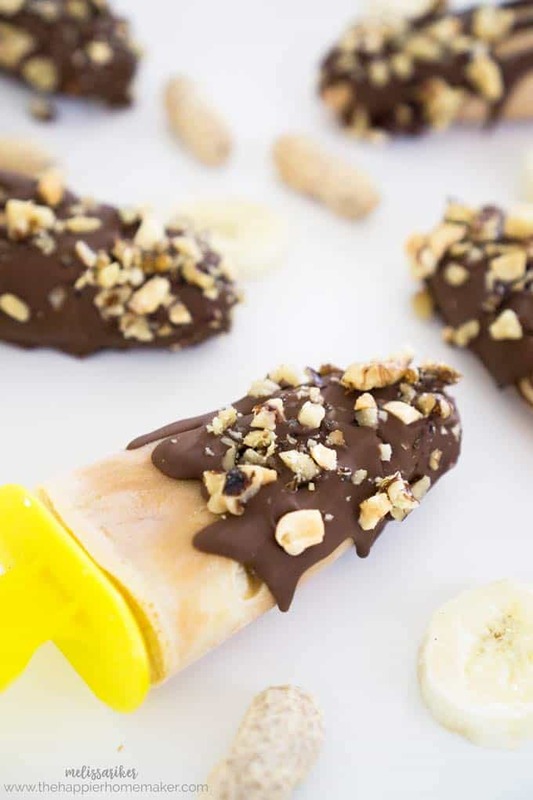 I mixed PB2 with 1% milk and added banana slices for the popsicle itself, then we drizzled them with chocolate candy shell and chopped peanuts and walnuts for the topping. They were delicious! Mix milk and PB2 until smooth. 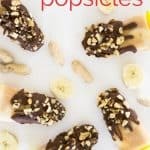 Add 3-4 banana slices to each popsicle mold. Fill molds with peanut butter milk mixture and freeze for 3 hours or until frozen. 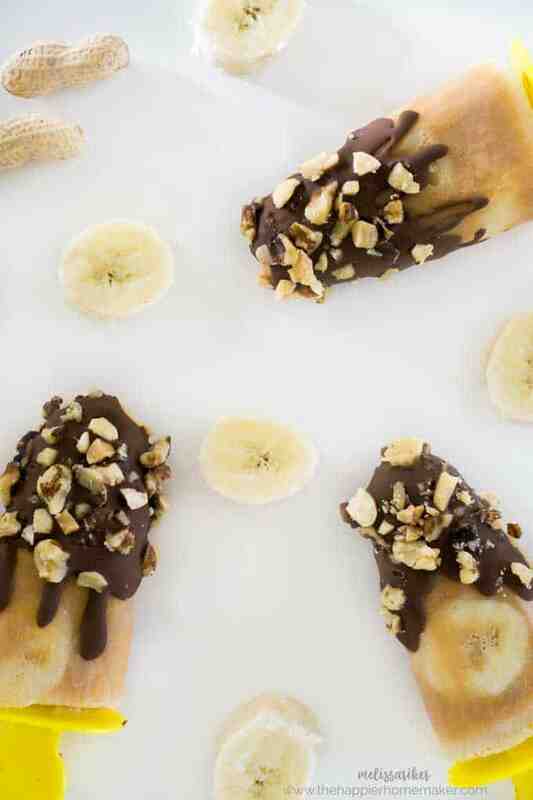 Drizzle magic shell over popsicles and immediately sprinkle with chopped nuts.